With access to the human genome assembly (currently "Build" 28 at the National Institutes of Health), it is an easy task to identify the chromosomal localization of the 37 known human PTPs using LocusLink or the BLAST search platform in the UCSC genome browser (Table II). Importantly, the chromosomal localization could be mapped for all published PTPs consistent with the estimated 95% coverage of the human genome. This chromosomal assignment is important to resolve whether homologous proteins are splice variants derived from the same gene or are recently duplicated genes or pseudo-genes. In addition, the current refinement of PTP chromosomal localization allows for disease association studies. To visualize PTPs in a genomic context, mRNA or protein sequences were fine-mapped (i.e., unequivocally aligned at the exon level) onto the assembled genome via LocusLink, Ensemble, or the UCSC genome browser (Fig. 2). NCBI provides a convenient tool for aligning mRNA or EST sequences to a genomic sequence (Table I, Spidey) in cases where PTP genome sequences are not present in the genome assembly but are found only in the raw sequences from the sequencing centers. 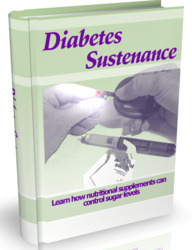 aThis table is based on "Build" 31 and thus contains the most recent information available. catalytic domain amino acid sequence homology, is consistent with a classification based on PTP gene structure. The collection of unique full-length human PTP protein sequences formed the basis for mining the human genome for novel PTPs and pseudogenes. A strategy for a BLAST-based homology search  with PTP D1 and D2 domain sequences as the origin is shown schematically in Fig. 2. To improve the specificity and reduce noise, the conserved PTP domain sequences were used as origin in this search, rather than the full-length sequences. Using the tblastn algorithm (part of the BLAST package) with default settings, D1 and D2 sequences from each of the 37 human protein sequences were searched against the six-frame translation of the human genome (raw sequences from the sequencing centers Human Genome Centers; see Table I). 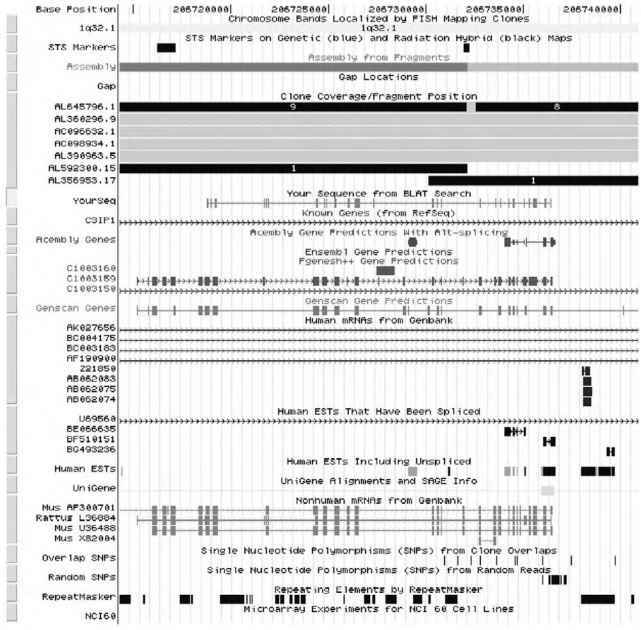 Each of the searches produced a results file with a substantial number of sometimes overlapping hits to various entries in the human genome database (HGraw). A nonredundant list of 295 genome entries was compiled from these files, and each entry was examined by hand for PTP catalytic domains using a number of iterative searches and predictions, including searches against the full-length protein sequences, hswall, and the EST database. In addition, selected genome sequences were analyzed with NetGene2 to predict splice sites, and putative PTP motifs were identified with the fuzztran program from the EMBOSS package. To allow quick navigation in the genome entries and the associated search results files, everything was organized in a web environment. To visualize see the Novo Nordisk website, NN-PTP; see Table I. To visualize the genome entries and their associated features (e.g., homology to full-length protein sequences, areas with EST hits, motifs), the results files were parsed to produce feature annotation in GFF format. Artemis provides a user-friendly graphical viewer of genome entries that can be loaded with the associated GFF files. Using the web environment and the Artemis tool, each genome entry was carefully inspected by hand. 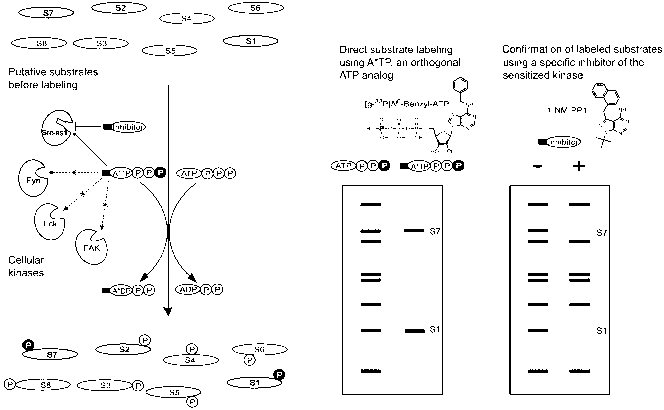 This procedure reduced the 295 overlapping hits to: (1) the 37 published PTPs, (2) 9 intron-less PTP pseudogenes, (3) 4 or more potential novel PTPs with exon/intron structure, (4) 11 dsPTPs, and (5) 14 false-positive entries (low complexity hits). Although definitive classification of these potentially novel PTPs awaits a combined analysis of the finished genome sequence and experimental verification of cDNAs, it seems clear that the total number is far below earlier expectations in this protein family . To complement the tedious manual data analyses with brute-force SQL queries, all hits between the origin protein sequences and the genome entries were uploaded to a relational database (MySql), which also assists in (1) keeping track of hits, (2) generating statistics, and (3) more in-depth database mining in the future. As indicated previously, the human genome contains at least nine intronless PTP-like sequences that are closely related (>94% nucleotide identity) to the mRNA of TCPTP (two sequences), SHP2 (five), MEG1 (one), or RPTPa (one). Closer inspection of these sequences revealed multiple inframe stop codons due to insertions and deletions. Only two of the nine sequences had perfect matches with ESTs. As an example, in addition to the TCPTP gene on chromosome 18 (Table 2), two TCPTP-like sequences were identified on chromosomes 1 and 13 (TCPTP-P1 and TCPTP-P13) which share 94 to 95% nucleotide identity over 1440 bp with the TCPTP cDNA. The lack of introns and the presence of polyadenylated tails indicate that these sequences are pseudogenes that arose by retrotransposition. Both TCPTP sequences harbor frameshift mutations and premature stop codons. If transcribed, this would generate short PTP-unfunctional polypeptides of 41 or 149 amino acids, respectively. Of note, TCPTP-P13 is associated with an EST sequence (aw401979), thus it may be expressed, although the function of such an mRNA/truncated protein is unknown. When reviewing the in situ hybridization data published in the pregenomic era, we discovered that both the TCPTP and SHP2 pseudogenes identified in this study in silico also had been detected experimentally [39-41]. In the case of TCPTP, Johnson and coworkers  compared the specificity of genomic and cDNA probes and demonstrated that, under identical conditions, the genomic TCPTP probes (containing both exon and intron sequence) readily identified a single specific site of hybridization (18p11.3-p11.2), whereas the TCPTP cDNA probe identified sites of both the gene and its pseudogenes (1q22-q24 and 13q12-q13). Likewise, Jirik and coworkers , when using a SHP2 cDNA probe, found hybridization signals over 4q21 and 5p14 as well as to a lesser degree over chromosomes 3q1-3q13.2, 6q23-q24, and 8q12, in addition to 12q24.1 (the SHP2 gene; see Table 2) . In light of today's genome assembly, we conclude that these signals correspond to the exact localization of five intronless SHP2 pseudogenes. Figure 3 Identification of a novel human PTP (OST-PTP) and its genomic context in a selected browser (UCSC, Table I). From top to bottom the features include the nucleotide base position that refers to the coordinates in the NIH genome assembly, with the cytogenetic band immediately underneath, and a graphic view of clone coverage (gaps and overlap) in the assembly and accession numbers of the raw sequence. The identifier 'YourSeq' is the exon-intron structure we have predicted for human OST-PTP and underneath are homology-supported gene models (Acembly, Ensembl, Fgenesh and GenScan). Below the automated gene predictions are mRNA and ESTs sequences from human (black) and rodents (grey) aligned to the genome. Finally, additional display options can be selected, e.g. location of repeats, SNP, sequence-tagged-sites (STS), genetic markers and microarray expression data. regulated and specific expression pattern similar to that observed for its mouse and rat counterparts .